Made of midweight jersey knit, this long sleeve tee can be worn alone or layered. It features a rib-knit crewneck and cuffs, side-seamed construction to minimize twisting, and a tagless neck label. 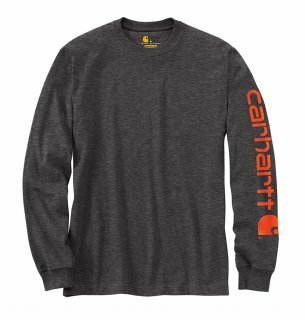 The Carhartt® logo is printed on the sleeve.